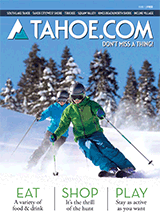 “Big water” is one meaning attributed to the Washoe name for the lake, Tahoe. You can see just how big that water is when you take in the panoramic views from the spacious dining room of the Big Water Grille. Serving seasonal selections of California bistro cuisine, there’s a great list of starters like the ahi poke or pan-roasted quail plus fresh vegetable sides and some serious steak burgers. The hearty main courses include pan-seared duck breast, a smoked rib eye and nightly fresh seafood specials. They have a wrap-around bar with a separate food menu, signature martinis, craft cocktails and beer. The wine list is extensive with more than 200 international selections. Appetizer and drink specials occur Wednesdays in the spring and fall. 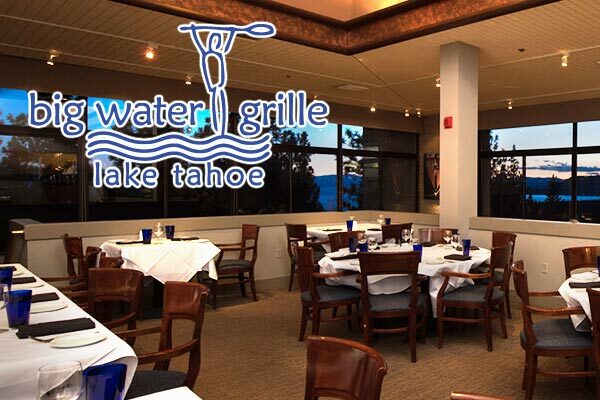 Just down the road from Diamond Peak, the Big Water Grille is a great place to stop in after a day on the slopes to warm yourself by the fire. Whenever you go, get there early enough to catch an amazing Sierra sunset over the big water of Lake Tahoe.